It’s finally summer! I’m very glad to be out of school for the year and to have some extra time now. Since it is summer, I wanted to use my free time to get some reading in. I’m going to try and read a book a week, and then on Thursday, post a quick book review of what I read. I’m not sure I’ll be able to every week, but I’m certainly going to try. 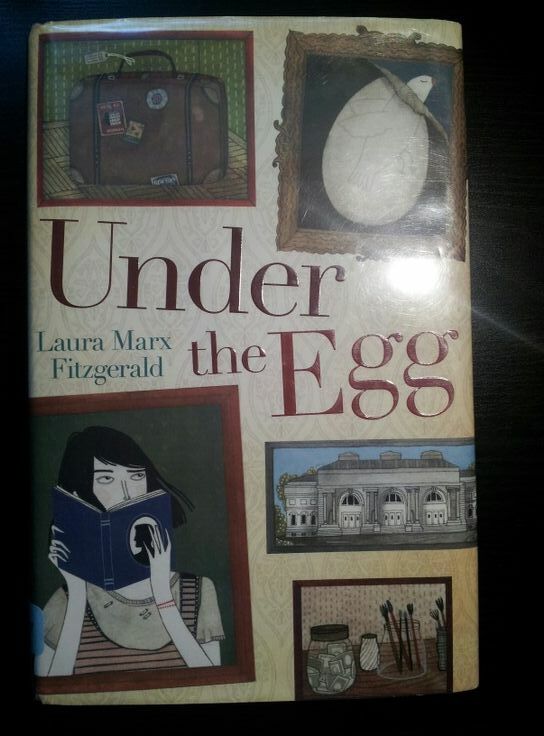 🙂 This week I’m reviewing Under the Egg by Laura Marx Fitzgerald. When her grandfather Jack dies, Theodora Tenpenny, better known as Theo, is left with the old family house, exactly $463 to live on, and a large painting of an egg that has always hung over the fireplace. While trying to make sense of her grandfather’s last words, Theo accidentally spills rubbing alcohol on the egg painting and discovers what seems to be a priceless masterpiece underneath. Instead of being thrilled, the only thing Theo can think is that her grandfather, who used to work as security at an art museum, was actually a thief. 1. The story was very original, and it kept me guessing from page to page. 2. I liked Theo a lot. I thought she had a great, no-nonsense personality that worked really well for the novel. 3. I loved the bits of real art history that were woven into the book, like the story of Rembrandt’s mistress and how to tell if a painting was really old or not. 4. I thought the ending was realistic, and that it was a really cool history tie-in. 1. I thought the beginning was a bit confusing. I wasn’t really sure who Jack was or what was going on. 2. I also wasn’t sure when the book was taking place. I thought at first it might have been during the Great Depression, but it was actually modern day. I really enjoyed this book, even though it was a “J” novel. I read it all in one day, and it’s definitely one to check out if you’re looking for a quick and entertaining read.